TORONTO/NEW YORK (Nov. 12, 2015) – The National Hockey League (NHL®) and the National Hockey League Players’ Association (NHLPA) announced today the appointment of Team Europe’s Scouting Staff: Peter Bondra, Sean Burke, Lorne Henning, Vaclav Nedomansky and Ricky Olczyk. The NHLPA and NHL also announced the appointment of Paul Maurice as an Assistant Coach on Team Europe. The five-person Scouting Staff will report to Team Europe President/Team Leader Franz Reindl and General Manager Miroslav Satan, while Maurice will work with Head Coach Ralph Krueger. Bondra served as General Manager for Slovakia’s national team from 2007-2011, covering the Olympics (2010) and four World Championship tournaments. He played in 1,081 NHL games over a 16-season career, scoring 503 goals and 892 points. Bondra played in five All-Star Games, and he remains second in Washington Capitals’ franchise history in goals (472) and points (825). The Lutsk, Ukraine, native represented Slovakia internationally on multiple occasions, highlighted by a gold medal in the World Championship (2002) and a bronze medal in the World Championship (2003), and he also played in two Olympics (1998, 2006) and in the World Cup of Hockey (1996). Burke recently spent six seasons (2009-2015) with the Arizona Coyotes, serving the last three seasons as Assistant to the General Manager/Goaltending Coach. 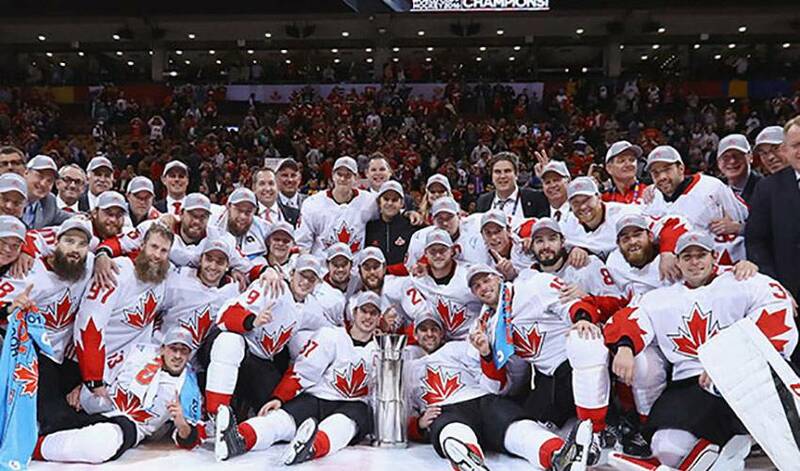 The Windsor, Ont., native worked on Hockey Canada’s management teams for its gold medal entries in the 2015 World Championship and the World Junior Championship. As an NHL goaltender, Burke won 324 games and recorded 38 shutouts over 820 career games. The three-time NHL All-Star finished third in Vezina Trophy voting in 2001-02. He represented Canada in two Olympics (1988, 1992) – winning a silver medal in 1992 – and won two gold medals in the World Championship (1997, 2003). Henning recently served as VP of Player Personnel and Assistant General Manager for the Vancouver Canucks. The Melfort, Sask., native worked for the Canucks since 2005, originally joining the club as a Professional Scout. Previously, Henning was an assistant coach for 15 seasons – between three NHL clubs – and he was an NHL head coach for a total of three seasons with two clubs. In his playing career, he played in 543 NHL games for the New York Islanders and he recorded 184 points. Henning has been a part of four Stanley Cup championship teams, twice as a player (1980, 1981) and twice as an Assistant Coach (1982, 1983). Maurice is the Head Coach for the Winnipeg Jets, a position he has held since Jan. 12, 2014. He has coached over 1,200 NHL games for three franchises: the Hartford Whalers/Carolina Hurricanes, Toronto Maple Leafs and the Winnipeg Jets. Maurice earned his 500th career win on Jan. 13, 2015, becoming the second-youngest NHL coach to achieve the benchmark. Prior to joining the Jets, he coached Magnitogorsk of the Kontinental Hockey League for the 2012-13 season. In 2002, Maurice led the Hurricanes to the Stanley Cup Final. He has also coached in the Ontario Hockey League and the American Hockey League. As a player, Maurice played for the Windsor Spitfires and he was drafted in the 1985 NHL Entry Draft by the Philadelphia Flyers. Nedomansky played in 421 career NHL games for three clubs, scoring 278 points over seven seasons. The Hodonin, Czech Republic, native represented his country in 10 World Championship tournaments – winning the gold medal in 1972 – and he was named top forward in 1974. Nedomansky played in two Olympics, winning a silver medal in 1968 and a bronze medal in 1974. He previously coached Schwenningen in Germany and Innsbruck in Austria. Olczyk serves as Assistant General Manager for the Carolina Hurricanes. Prior to joining the Hurricanes, he worked for the Edmonton Oilers (2007-2014) where he spent his final six seasons as the club’s assistant general manager. The Chicago, Ill., native previously operated his own legal consulting firm for six years and worked for the NHLPA for one and a half years. Olczyk earned his law degree in 1996 from Cornell Law School. He played four seasons of Division I hockey for Brown University and he was the captain of the United States Under-17 National Team in 1986. The World Cup of Hockey returns in September 2016 in Toronto, where eight teams, comprised of the world’s best hockey players, will compete for a best-on-best international hockey championship. In addition to Team Europe, the teams participating will include Canada, the Czech Republic, Finland, Team North America, Russia, Sweden and the United States. The World Cup of Hockey is a joint effort of the NHLPA and the NHL, in cooperation with the International Ice Hockey Federation (IIHF). It is expected that more than 150 of the best players in the NHL will participate in this tournament. The eight teams are split into two Groups, Group A and Group B, for the Preliminary Round (Sept. 17-22), when each team will play its three Group opponents in a round-robin format. Placed in Group A are Team Canada, Team Czech Republic, Team Europe and Team USA. The four teams in Group B are Team Finland, Team North America, Team Russia and Team Sweden. The top two finishers in Group A and Group B will advance to the Semifinals (Sept. 24 25), where the first-place team from each Group will face an elimination game against the second-place team from the other Group. The two Semifinal winners will meet in the Final, a best-of-three series on Sept. 27, Sept. 29 and, if necessary, Oct. 1. Tickets will be available for purchase via www.Ticketmaster.ca and www.Ticketmaster.com, the official ticket marketplace of the NHL®, beginning at 10 a.m. ET on Thursday, Nov. 12. The offering is a World Cup of Hockey 2016 Tournament Pass, which provides admission to all games played at Air Canada Centre during the tournament. Pricing reflects a 17-game Tournament Pass and includes HST. Additional fees may apply. Prices are in Canadian dollars. This opportunity is available on a first-come, first-served basis, while supplies last.